The Rototom Sunsplash is held in Benicassim (Castellon, Spain) in its Festivals Venue located at km. 986,300 on the N-340 national road. Benicàssim, on the shore of the Costa Azahar (Castellón-España), boasts seven kilometres of beaches in the middle of the Meditteranean Sea with all the services necessary for a pleasurable, entertaining and secure time for bathers and visitors, and recognised annually with EU blue flags. Open and calm water, there are beaches of fine sand such as Voramar, la Almadraba, Torreón and Heliópolis; or white stones, such as Els Terrers. The Benicassim shoreline, bathing in the sun with a warm climate, is the perfect place to relax while visiting the festival, to dance with the SunBeach free activities and one of the big attractions of this small area of Castellón, but not the one. Benicassim also has mountains. The Desierto de las Palmas park rises from the coast, a natural jewel, the perfect place to disconnect and en enjoy its unique views of the Mediterranean. More info: Turismo de Benicàssim, Turismo de Castellón. The nearest airports are Castellon*, Valencia*, Reus, Barcelona*, Alicante and Madrid. * Airports with direct transfer service to the festival. The main bus station with regular lines is in Castellon (tel. +34 964 24 07 78). With the companies ALSA, Avanza or HIFE you can get to Benicassim from anywhere on the peninsula. The venue is located at km. 986,300 on the N-340 national road. If you use the AP-7 Motorway: coming from Barcelona, its exit 45; from Valencia, exit 46. Your destination is Benicassim or Castellon. Consult train routes and timetables on the Renfe website. 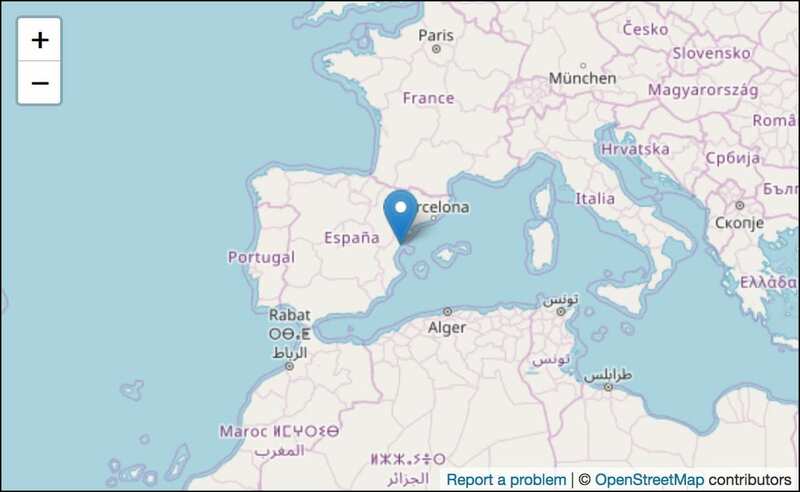 The port of Barcelona (280 km away) has routes from Italy, the Baleares and Morocco. Valencia (80 km away) has routes from the Baleares. Direct routes, with your seat guaranteed and free Wi-Fi for you to share the whole experience. Professional drivers and certified vehicles so that you just have to worry about enjoying yourself. Forget about paying for gas, parking, tolls, fines… What’s more with each bus we avoid the use of 33 cars and the emission of 92kg of CO2 on the road. Get on board one of the organized route or suggest your own. Share your bus trip to the festival! 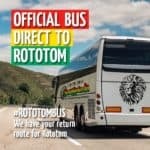 As every year we promote the organization of reggae routes by bus from different parts of Europe to the festival. You can choose to buy a pack “bus + pass” or book only the bus trip, if you already have your ticket for the festival. Mediterráneo Holidays offers a special bus transfer service that enables you to get to the festival venue quickly, comfortably, securely and cheaply from the airports of Castellon, Valencia and Barcelona. Remember that you can only buy your tickets in advance online, which means that it will not be possible to buy them on the coach. Furthermore, if you buy them before June 15 you will be given 20% discount off the original price. One of the peculiar characteristics of our Festival, as those who have lived it will tell you, be it as visitors, guests or staff, is the community that is created among all those in attendance. This is something that is experienced in the campsite above all, where there are endless opportunities to get to know ourselves and each other better and share moments of fun while relaxing. In Benicassim and the surrounding area you will find a wide range of tourist accommodation on offer for all tastes. For information about tourist accommodation you can consult the Benicassim Tourism Office, Castellon Tourism Office and Oropesa Tourism Office. Festicket offers you the possibility of buying at once a pack with “ticket + accommodation” or, if you already have your ticket, book only the accommodation. Eight days of festival can tire anyone. The most experienced festival goers know this. That is why you regularly see people using skateboards, skates and bikes in the venue. We have organized special bus routes so that you can get form the venue to the village and Solè Rototom Beach, our beach bar on the Gurugú beach (Grao de Castellón). You can buy a bus pass online, at the sales desk located beside the festival Ticket Office or on the bus itself. During the days of the Festival, you will find a taxi stand at the roundabout access to the parking, located between the karting and the gas station. Getting around by car in Benicassim during the Festival can be quite complicated due to traffic. We recommend that you park up and use either the bus or a bike. Rototom offers an extensive variety of cuisine in its restaurants and bars,so travel where the flavours take you: we can try dishes from Thailand, Italy, Argentina, France, Morocco, Cuba, Senegal, Jamaica… or the cuisine of Valencia, Catalonia and Andalusia. Truly international cuisine with delicacies for every palate, including the most selective and curious: hemp seeds, couscous, tajine, falafel, Poulet Yassa, Neapolitan pizza, piadina, samosas, choripán, acaraje,… Delicies that can be accompanied by typical drinks like mint tea, sugar cane juice, bissab, ginger, api,… All fresh and cooked to order. Let your senses be captivated! If for any reason you feel bad, there’s a team of qualified medical personnel to assist you in both the campsite and the main area. There will permanently be an ambulance stationed at both points. 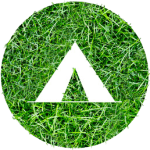 We will facilitate a service where you can find the basics for camping. A special area dedicated to artisans selling their own handmade creations. We have prepared a specific parking zone, located near the festival entrance, so that you do not have to go far to get in. This year, we reinforce the measures to further reduce the consumption of plastic containers and so we will install 14 water stations in different areas of the festival, 12 inside the venue and 2 at the campsite, where you can get quality fresh water at very reasonable price. A specially designed camping area for all the families that bring their children to the festival. It’s the greenest part of the campsite, with the most natural shade and is also the quietest, as it is furthest from the noisier zones. You can find all the information about the festival and its surroundings at the information points. There will be one at the box office, another at a central point of the enclosure and a third in the campsite. Energy Control will have an information point about drugs, that will provide advice and analyze substances, so that you can enjoy the festival without taking risks. In total there will be 220 open showers, 40 private showers, 155 toilets and 100 sinks spread throughout the campsite, there will also be facilities adapted for use by guests with disabilities. Can I buy a ticket for myself with another person’s credit card and attend the Festival? Yes, it is important that during the purchase, you indicate the name of the person who will pick up the tickets and attend the Festival. Can I buy a ticket just to attend the Social Forum and not the festival? No you cannot buy a ticket to only attend the Social Forum separately, you must have a festival ticket to attend the attend the Social Forum.